We love creamy, buttery and fluffy mashed potatoes. And these simple steps will help to make this creamy mashed potato dish with ease. This humble side dish, mashed potatoes, can make many main dishes become even more attractive and balanced. Every family has their own version though. Some people like it having more texture of potato bits. I guess most people like it creamy, smooth and fluffy as we do. 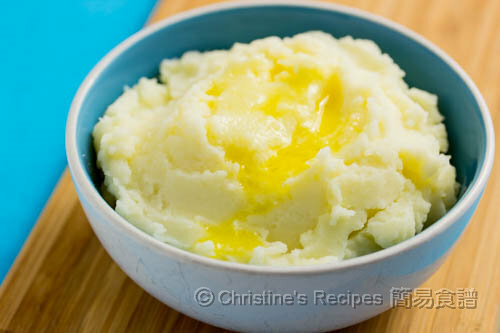 How to make perfect creamy mashed potatoes? First and utmost we have to use the right type of potatoes that are with high starch content. To get the best results, choose the starchy potatoes. This time I used Delight brushed potatoes. Others like Desiree and Dutch Creams are good choices as well. Next you need a sieve. You might like to use a potato masher. I found a sieve can give you silky smooth potato texture. Keeping these little things in mind, you won’t go wrong in making mashed potatoes. Last but not least, generously season with salt and pepper. The dish will taste heavenly just like those served in high-end restaurants. Thanksgiving and Christmas are just coming around the corner. 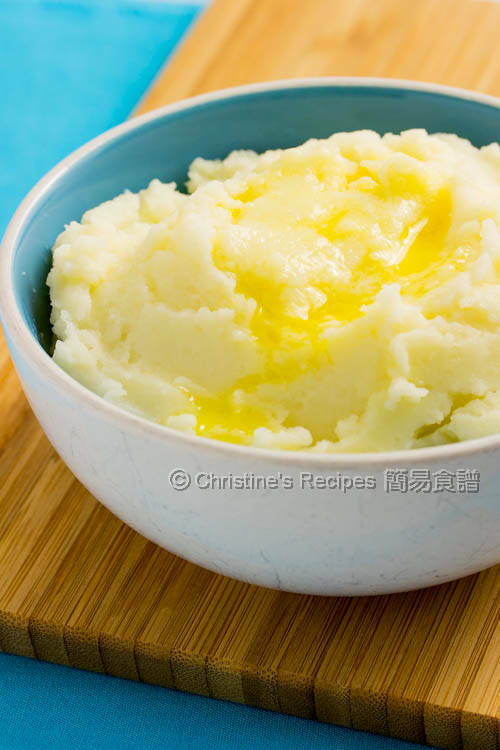 Make some mashed potatoes accompany with your superstar main dish. 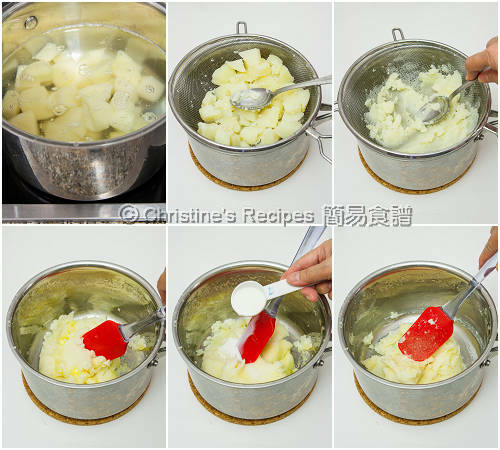 Place the potato chunks in a large saucepan of boiling salted water. Cover and cook for about 15 to 20 minutes, depending on the size of your potato chunks, or until a sharp knife can prick into it with ease. You can make the mashed potatoes well ahead. When you need it, simply reheat over a warm stove. Add more milk if necessary. This looks superb! Happy Holidays, Christine!